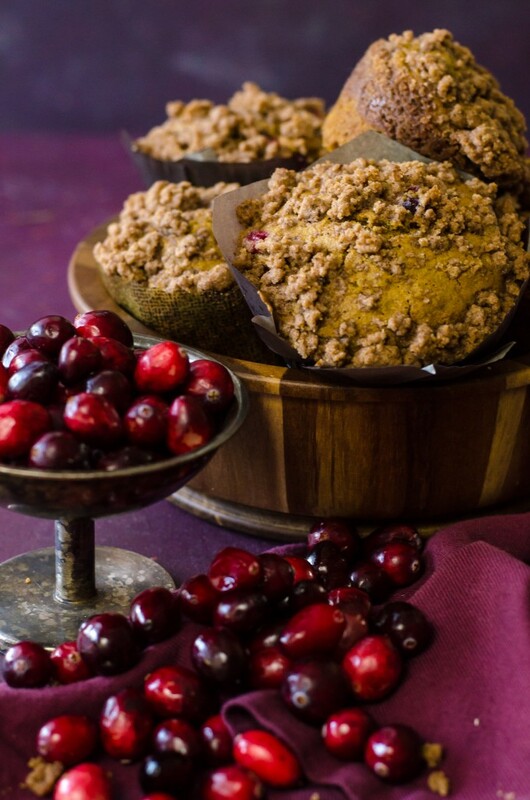 These Pumpkin Cranberry Muffins have a streusel topping, and can be mixed up in ten minutes or less! This is the best pumpkin muffins recipe from scratch! I have a new recipes test-testing group- all the teacher’s at my son’s preschool. I finally told them about what I do during those blissful hours where Jonathan is at preschool and Michael is napping- I’m writing about food! 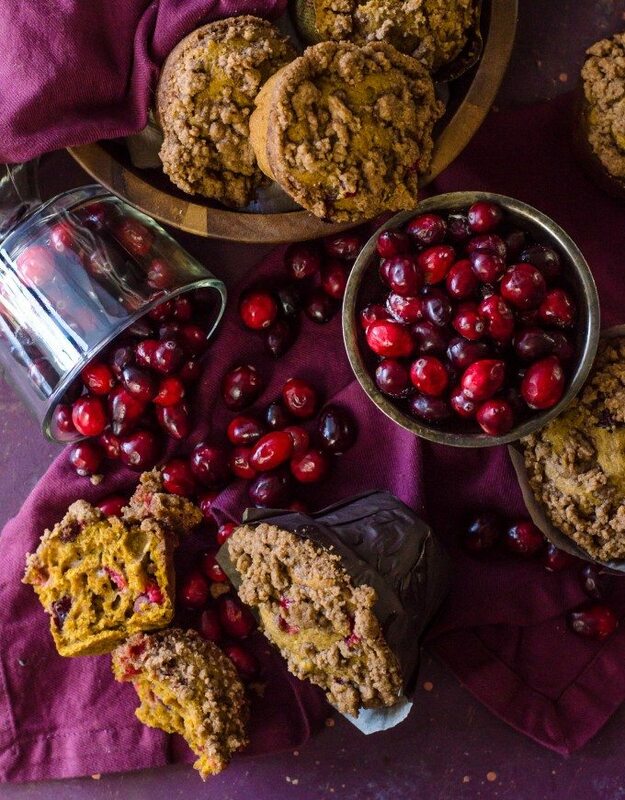 A few days later, I brought them in these Pumpkin Cranberry Crumb Muffins to try for me. I was on the fence about them, but needed the opinion of someone that best represented my reader base. I dropped them off with Jonathan and said I needed honest opinions when I picked him up. When I came back, there were A LOT of positive opinions. I warned them that they had to be brutally honest with me about if they thought anything needed to be changed, because if they weren’t honest, people on the internet would be. And they wouldn’t be nice about it either. They laughed and said that no, they wouldn’t change anything. I actually made these muffins last Thankgiving for everybody to have in the morning. My family loved them, especially my brother, so I shot a couple photographs of them. When I went to write up this post this fall, I made an awful discovery. I hadn’t written down the damn recipe. I was not happy. So I recreated it to the best of my knowledge, and luckily they turned out just like I remembered. 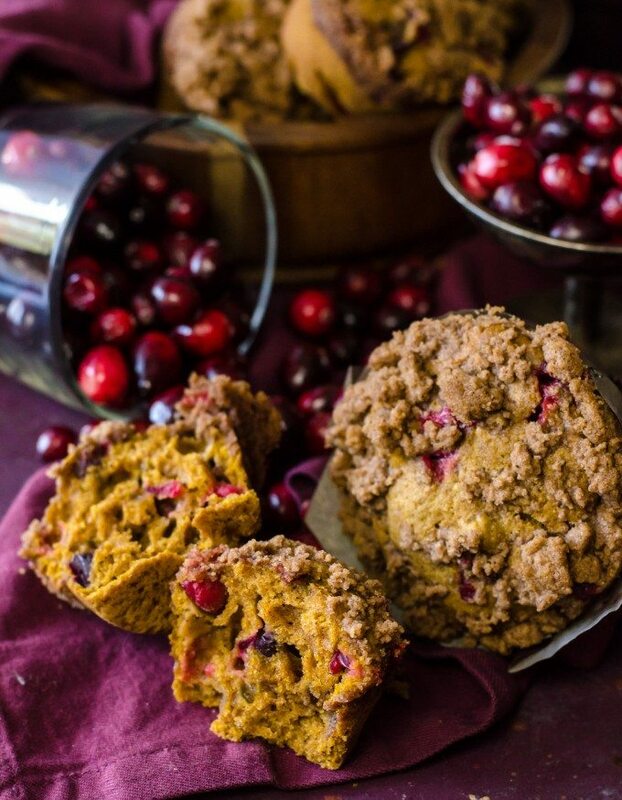 I guarantee that you will love these pumpkin cranberry muffins- they are super simple to mix up by hand, and don’t require any crazy ingredients. The great thing about cranberries is that they freeze beautifully and don’t lose any firmness or get mushy like most other berries. Just thaw in the microwave, drain, and mix in! Muffin Tin – You can’t make muffins without a good pan to make them in! Whisk – This is one of my favorite whisks, and it’s perfect for mixing all of these muffin ingredients! Cooling Rack – A good cooling rack like this one helps to ensure the muffins cool quickly and evenly. Preheat oven to 350F. Line a muffin tin with paper liners, or spray well with cooking spray. In an mixing bowl, stir together the butter and sugar. Whisk eggs and pumpkin in until smooth. Sprinkle the spices and baking soda over top and stir in. 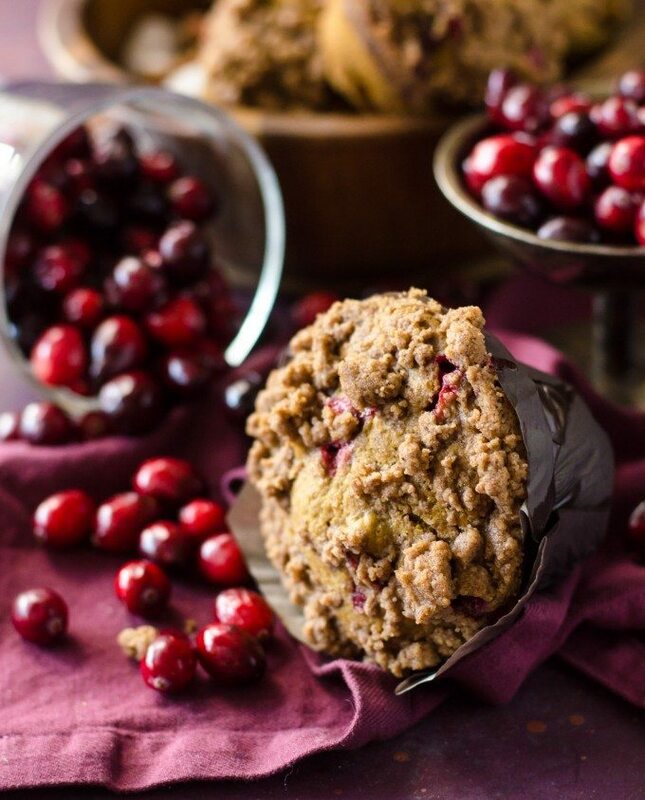 Mix in flour until just combined, then fold in cranberries. In a second small bowl, stir together the flour, brown sugar and cinnamon until even. Use your fingers, a fork, or a pastry cutter to mix in the butter until coarse crumbs form. Spoon batter until cups are ¾ filled. Sprinkle with crumb topping and press lightly to adhere. Bake in preheated oven for 25-30 minutes, or until tops are domed and an inserted toothpick comes out clean. Cool slightly on cooling rack.